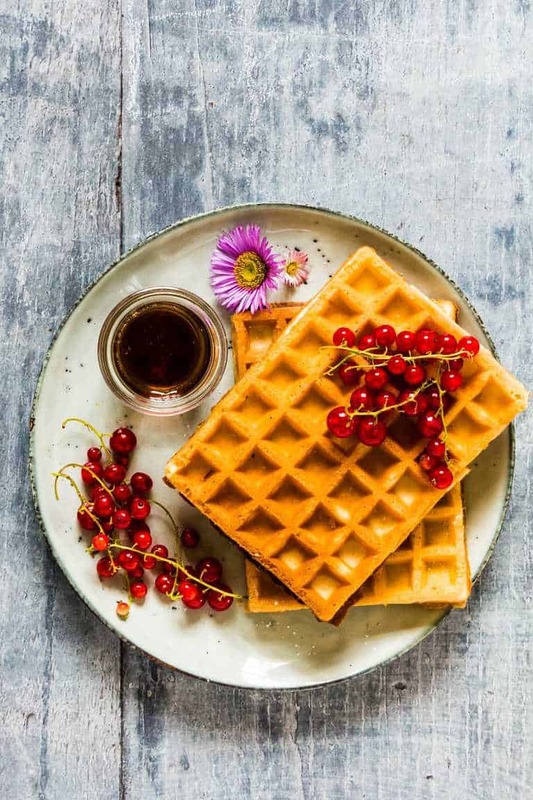 Honey Waffles are fluffy, sweet and super easy to make. They only require 5 pantry staples and a single bowl to whip up. Make a stack of these for breakfast or brunch in under 30 mins. This post is sponsored by Happy Egg Co. All opinions are my own. Honey waffles anyone? 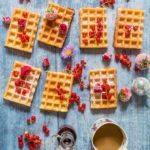 If you have been reading this blog for a while you know, that I am a serious waffle addict. 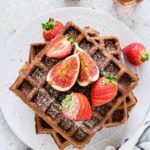 Just check out my chocolate chip sweet potato waffles, plantain waffles and these gluten free waffles. Waffles are almost like air for me. I need to eat and breath them at least once a week. 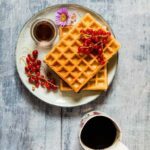 These honey waffles are super easy to make and only require 5 essential pantry staples and one bowl to whip up. You can’t beat one bowl recipes, can you? Optional additions: treats like vanilla, cinnamon, orange zest, berries, grated apples, yoghurt and whatever else takes your fancy. Amount of honey: I have suggested 3-4 tbsp of honey in these honey waffles as I prefer to add sweetness over the already cooked waffles. However please feel free to add a bit more honey to the waffle batter if you prefer. 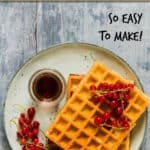 To make these honey waffles you mix the wet ingredients together and then add in the dry ingredients and mix. It does not matter if there a few lumps in the batter. This melts away when you cook your waffles. Then cook your waffles according to your waffle maker instructions and you are done. Thank you for reading my honey waffles recipe post. And please come visit again as I continue dreaming up recipes, traditional African recipes, African fusion recipes, Sierra Leone recipes, travel plans and much more for you. 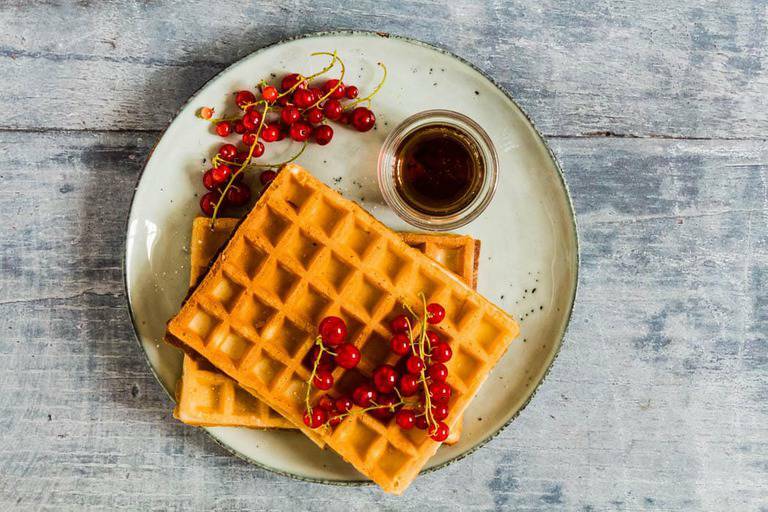 Don't forget to tag #recipesfromapantry on Instagram or Twitter if you try Honey Waffles! It is really, really awesome for me when you make one of my recipes and I'd love to see it. You can also share it on my Facebook page. Please pin this recipe to Pinterest too! Thank you for reading Recipes from a Pantry. Whisk together milk, butter, eggs, honey and vanilla and set aside. Add flour in a large bowl and make a hole in the centre. Serve the waffles with extra honey and any fruit. 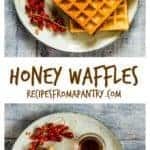 Before I share with you the recipe for these honey waffles can I first tell you about the visit to the egg farm that got me all excited about cooking with eggs and whipping up an egg curry and these honey waffles. That would be the Happy Egg farm, near Peterborough. Now, I’ve grown up with chickens. Back home in Freetown we always had a few chickens scratching around in the compound, waking us up with crowing in the morning and scampering over to eat any food that we were foolish enough to let fall to the ground. And now of course we have our own few chickens (though I wish they would lay more eggs!). 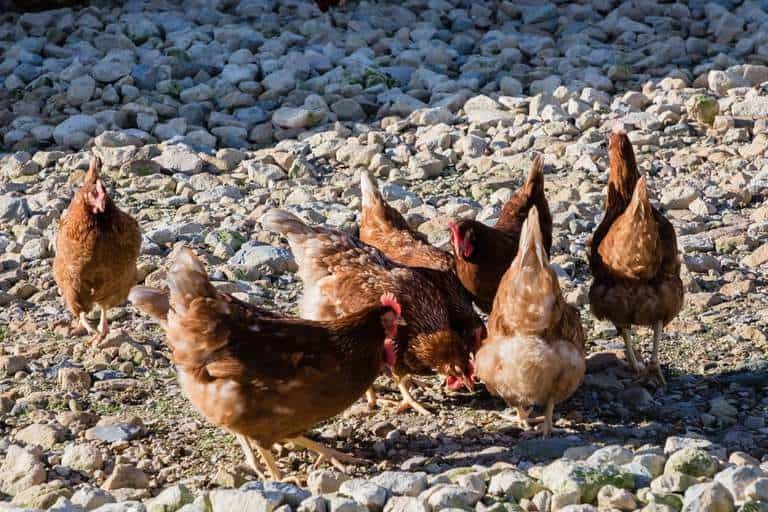 From experience, and from reading up about it, it is obvious that chickens love to roam around, scratching in the earth, undergrowth or straw for food. You certainly don’t see them sitting still much, so I imagine that being stuck in a factory farm would be pretty hellish for them. This is why when I buy eggs, I only buy free range. I don’t want my conscience troubled by having factory eggs. Plus, I guess that a good life and a varied diet means that free range hens will produce better quality and tasting eggs than factory farmed ones. Well, as I said, I’ve eaten free range eggs all my life, had hens all my life but I had never seen a proper hen farm. 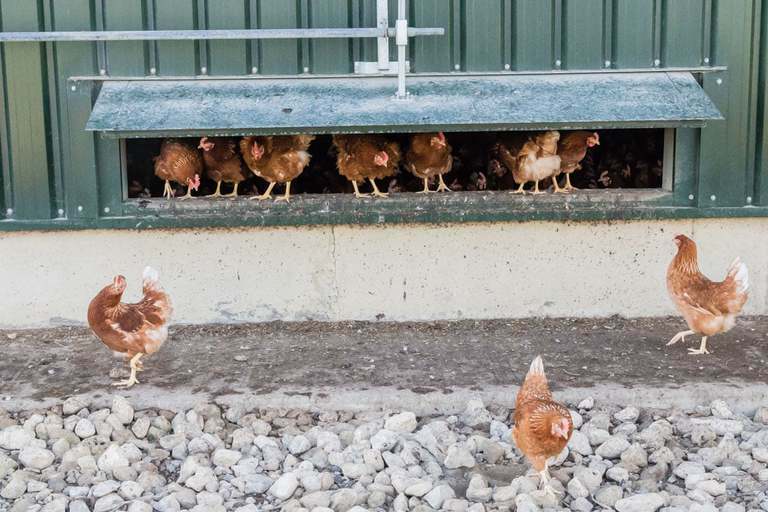 I had never seen how free-range eggs are produced on a scale bigger than my backyard. 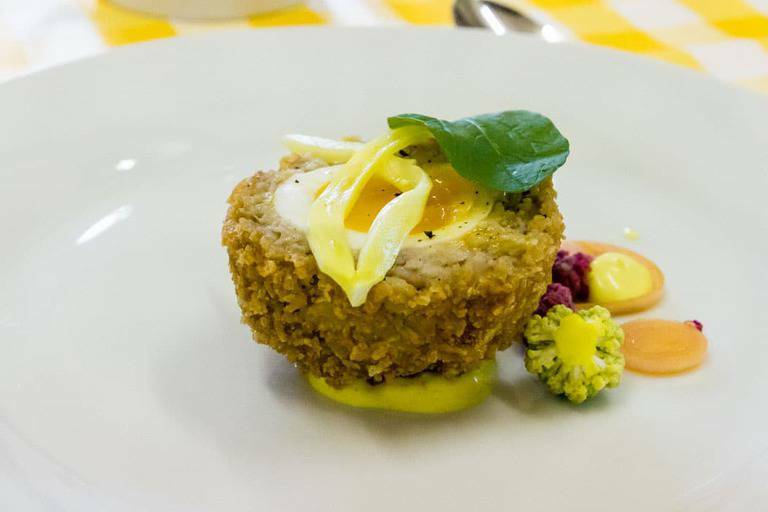 So I was extremely interested and pleased to be asked to visit a Happy Egg farm in Lincolnshire a few weeks back. It certainly is a big operation. At this farm, they have 16,000 hens. Instead of my tiny hen-house, their hen barn is huge. With several storeys of perches for the hens and specialised bedding which was fantastically dry and didn’t smell at all. Of course, it is cleaned frequently. And in the barn, there is hay to peck at and scrape in, there are food balls (which vary their experience and their diet), and of course they can get water whenever they want. The barn doors (well the doors for the chickens) are opened at dawn and shut at dusk. 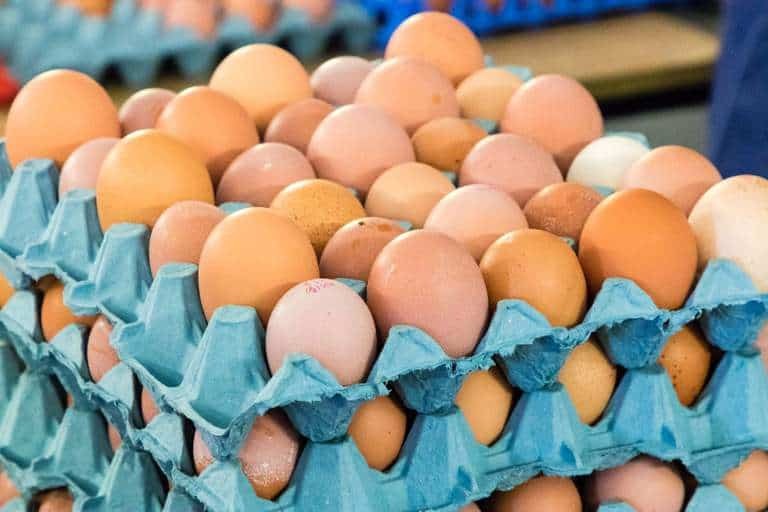 Imagine summer, so that the farmers have to get up seriously early to open them – certainly better than my chickens, who are let out at breakfast time. 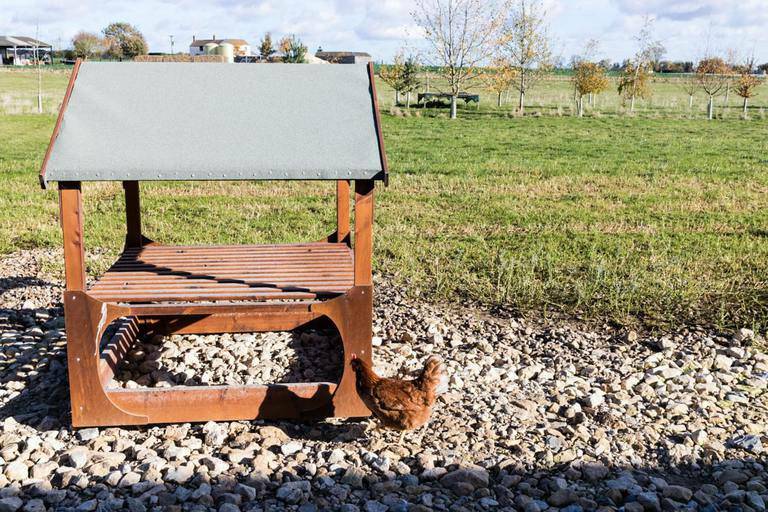 And outside there are several acres of pasture, with shelters, trees and a properly varied environment – so the chickens can live as ‘naturally’ as possible. Of course, the hens aren’t out all the time. I don’t know if you have ever seen a chicken in the rain, but if you have, you’ll know that it would have looked pretty miserable. So sensible chickens (like sensible people) stay inside in lousy weather (or indeed when it is too hot). So, from a welfare point of view, it seems that the chickens are kept perfectly well. 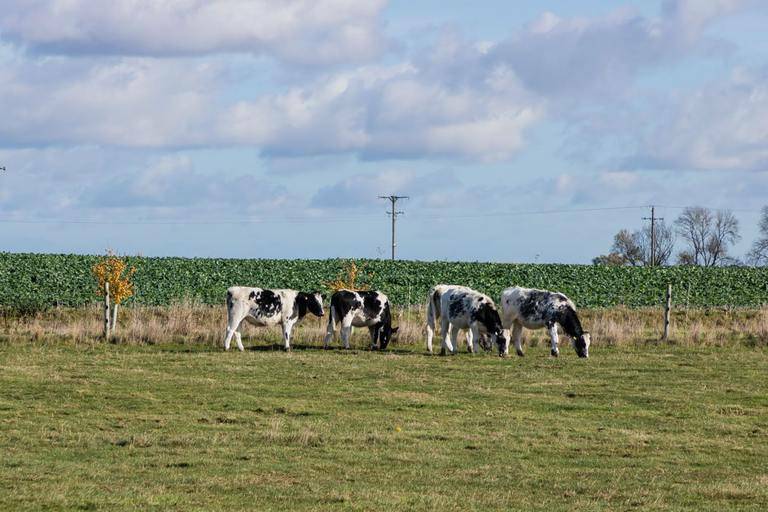 They have ample occupation, are clean, as free as possible and get a varied diet. Certainly, as good a life as my own brood. And one thing that really was impressive was the logistics of the farm. How they organise their egg collection, grading, washing and packing was quite mind-blowing. The delicious eggy treats they served us at the end of the visit certainly made my day. So, in conclusion, what did I think of the Happy Egg farm I visited? I liked it. 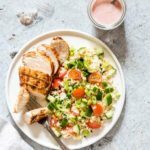 It was clean, the hens seemed happy and the effort and the way the outfit was organised has stayed with me – I certainly have not shut up about it over the last few days! 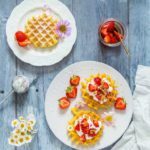 So much so that I used my Happy Eggs to make lots and lots and lots of waffles including these lovely honey waffles. 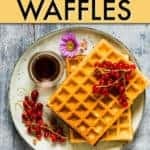 Sunday is waffle day in our house and these would go down a treat. Waffles are a staple at our house. We love trying different ones each week! 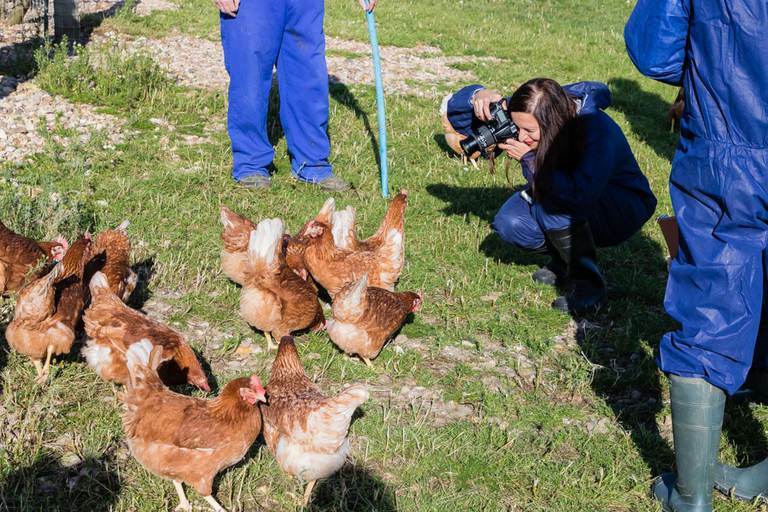 Looks like you had a fun and inspiring trip to Happy Egg farm! And YUM – These look so delish – and only 6 ingredients! 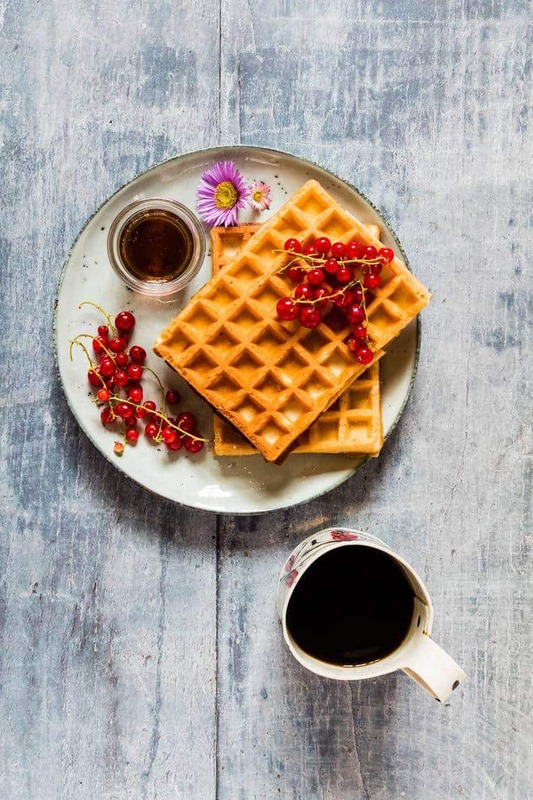 That farm looks wonderful and these waffles look like the perfect way to start the day. I love how easily they come together. Yum! Yeah the farm was amazing. Sometimes the simplest of recipes are the best! Love honey waffles! Can’t wait to try your recipe, Thanks! 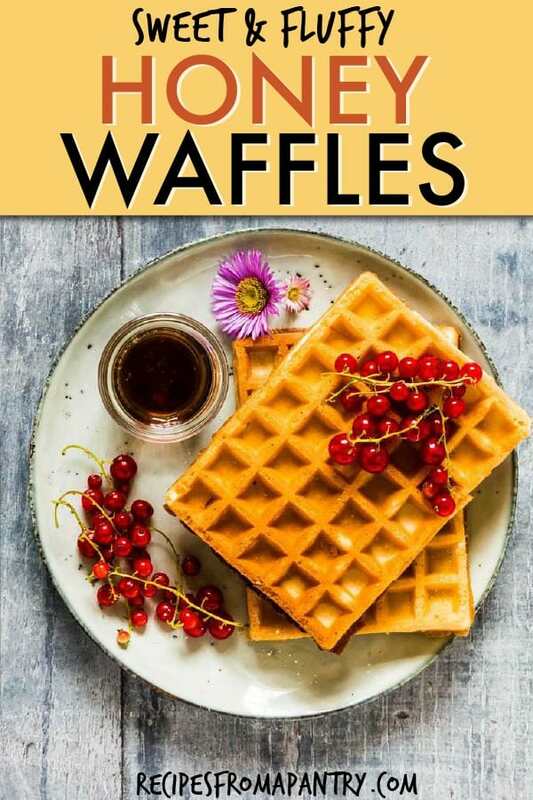 Mmm, honey waffles sound yummy!